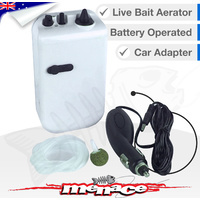 Great product with prompt and excellent service. 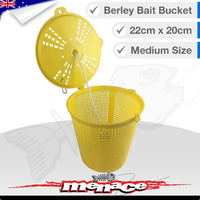 i found this 7 L bait bucket and aerator to be a ideal size for my use , aa i fish in the murray mainly , so it is used to hold shrimps and small yabbies , i find the oval shape bucket is also good as there is more floor space for the bait . 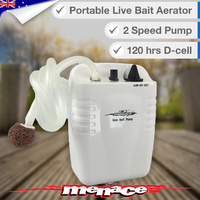 the aerator works great , and changing water is a breeze , if you are in a boat and stationary you can just hang the internal basket over the side saves using the pump ,and battery. the oval shape sits in the rear of my tinny behind the seat , and is very stable as it is not high. 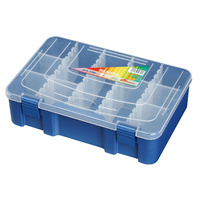 the unit in itself is very light , i only use it half full of water and i find that is all i need for a few dozen shrimps to stay alive no problems , just change the water every hr or so , or longer if you use more water in bucket , all in all this is a great size for my needs , it is well made and aerator works fine on low speed , more bait put it on high setting for more air but i found low setting is enough . 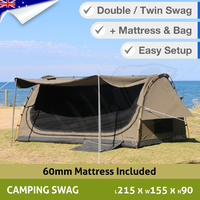 great product and price , was delivered quick . 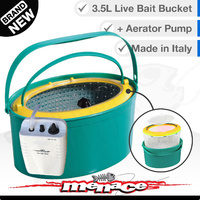 for a bait bucket plus aerator , you would be hard to find a better unit , love the internal mesh bait holder with cliplock lid , lift out all your bait is in mesh basket , just tip water out of the outer bucket , re fill with fresh water , drop mesh basket back in with bait , to easy . pump takes a single d size battery , i bought a twin pack of heavy duty batts , have used it on five trips average 6hrs use ,each trip . still running strong on first battery very happy fisho. cheers. 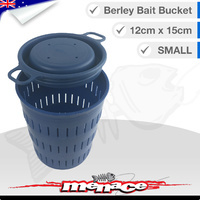 Great little bucket kept freshwater shrimp alive for 4 days no probs. will get bigger next time. Very happy with my purchase. 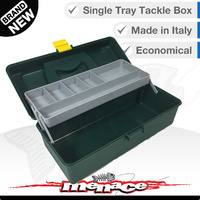 My nephew had one on a recent fishing trip and I was very impressed with it , and that is why I now have one of my own.